Ah the Summer of 1994. Falling out of Manto (the most fashionable bar in the country according to sadly-deceased magazine The Face) on Canal Street and into Paradise Factory, or Flesh at the Hacienda. 1994 might have been the year that Wet Wet Wet ruled the airwaves with ‘Love Is All Around’, but my life was soundtracked by Tony Di Bart’s ‘The Real Thing’, the smooth R&B of ‘Regulate’, and the progged-up bluegrass of ‘Swamp Thing’ by The Grid. Gay clubbing culture was changing society’s opinions on sexuality and influencing fashion. Nick Coleman, Michiko Koshino, and John Richmond’s Destroy was mine and my pals’ uniform of choice; androgynous labels which were more practical than dressy, as the 24-hour party people took over the city. 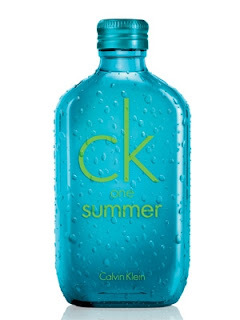 My mother was spending a lot of time in the States back then, meaning that I was the first of my friends to own a bottle of CK One, the first highly-publicised unisex scent. Calvin Klein had spent the previous decade forcing a more healthily hetero-normative, gym-toned aesthetic at odds with the sea-change in youth culture, and this was obviously the fight back. A fresh mixture of fruit and musk, it wasn’t long before CK One became as ubiquitous in my life as hangovers. 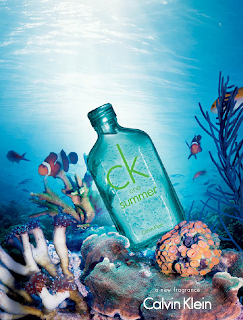 Fast-forward almost two decades and we come to CK One Summer 2013, a flanker which retains the original foundation whilst dialling down the fruit. Strangely, for a fragrance fiercely marketed as unisex, the addition of Citrus and a Waterfall accord pushes it too far into masculine sports territory to my mind. It’s aquatic and clean and, unfortunately, I far prefer the original juice. It’s a similar story over at Eternity for Men Summer, yet with slightly more success. I’ve always found the original Eternity for Men to be a little aggressive and synthetic, although it has survived long enough to now be considered by some as a classic. This new Summer flanker dries down to a much more subtle fusion of Tarragon and Seaweed with a Driftwood accord. A perennial hit with the ladies, Eternity for Men Summer is much more likely to lead them by the hand than club them over the head. CK One Summer for Men & Women is available as a 100ml EDT (£29). Eternity for Men Summer 2013 is also available as a 100ml EDT (£33) on counters from 3rd April 2013. Reviewed by Lee Clatworthy (@TeamChutzpah) for Katie Chutzpah blog.